Documentary about the Atlantic Ocean. In the North Atlantic, massive whale pods, giant turtles and monstrous jellyfish ride the Gulf Stream, a huge ocean current. In the wild North Atlantic, massive whale pods, giant turtles and monstrous jellyfish ride the Gulf Stream, a huge ocean current that becomes a migration superhighway and helps warm northern Europe. Meanwhile, fishermen battle for survival in mountainous seas as they try to reap the current's natural fertility. Renee Godfrey, surfer, producer and director, writes for the BBC Love TV Blog. 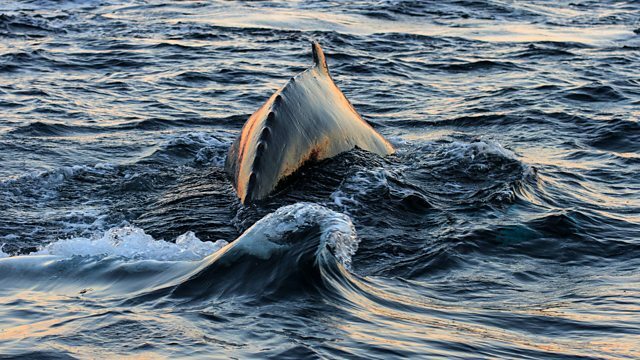 More from the team behind Atlantic: The Wildest Ocean on Earth.